*Christians from more than 1,500 churches across the United States joined in prayer for eradicating HIV/AIDS, particularly in Africa, on Sunday. The movement was spearheaded by ONE, an organization engaged in global grassroots advocacy and campaigning to fight extreme poverty and preventable diseases in developing nations. Notably, one of the founders of ONE campaign includes Bono from the popular Irish rock band U2. Lazarus Sunday, as the event is dubbed, was held on April 10 to raise awareness for both the disease and the Lazarus Effect. The Lazarus Effect is a term used by medical professionals and government officials to refer to the condition that HIV/AIDS sufferers experience after receiving inexpensive anti-retroviral (ARV) treatments that cost about 40 cents a day and produce results within 40 days. 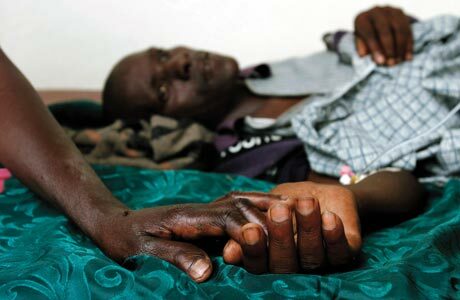 Though the treatment is not a cure, it does reverse symptoms in HIV/AIDS victims and improves their quality of life. Doctors and relief workers describe this phenomenon as the Lazarus Effect in reference to the miracle in the Gospel of John where Jesus raises Lazarus from the dead.